Here's a list of Fall festivals in Virginia for 2016. Many of which take place in small towns and are worth stopping at for a new experience, if you're in the area. So, if you're looking for a new cultural experience then plan your visit to any one of these autumn festivals and events. September 16th to 18th - Christkindlmarkt (Christmas market), live music, and dancing. Authentic German foods and beers. Also, beers from local brewers. Activities for children and adults. September 17 from 10 am to 4 pm - Features pony rides, numerous children's events, local crafts, live entertainment, food and more. Free admission but rides and food cost extra. Held by the Rotary Club of Winchester. September 17th and 18th. Art, crafts, and other goods for sale. Many activities for children. Get a free apple and apple samples at the Apple Theme Booth. Apple pie eating contest. Live music. Also available are foods, beers, and hard cider. September 24th and 25th from 10 am to 5 pm. - Vendor crafts, live music, children's activities, see apple butter, apple cider, and molasses traditionally prepared. September 26th from 10 am to 11pm (typically) - Live music, including traditional Bavarian music, numerous activities, beer available all day. Beverages, food, and activities also available for children. September 26th to November 1st, 10 am to 6 pm. Farm tours, petting farm, carnival rides (extra cost), pony rides, and more entertainment. September 30th to October 1st - $5 for admission, children under 6 get free admission. Live music, fireworks, children's activities, car show, and more. Apple-picking at the orchard and more. October 1st and 2nd - live music, showcases, and jousting tournaments. Apple butter and sorghum syrup are for sale, with proceeds being for the benefit of the community. October 1st, 10 am to 5pm (rain date October 8th) Many vendors and entertainment for children and adults, including live music. Contests, games, pumpkin picking, and more. Free admission. October 1st and and 15th, 10 am to 4:30 pm. Many activities for children, including a corn maze, pumpkin picking, Mingo the Clown, games and more. Live music, food, and many food items for sale. October 1st 8:30 am to 4 pm. Free admission. Numerous vendors, food, arts and crafts, The Heritage Museum, Fort Harrison tour, activities for children, and more. October 1st and 2nd, 8th and 9th, 15th and 16th, 10 am to to 4:30 pm. Free admission and free parking. Art and crafts, food and live entertainment. Children's activities include pony rides and a hay maze. 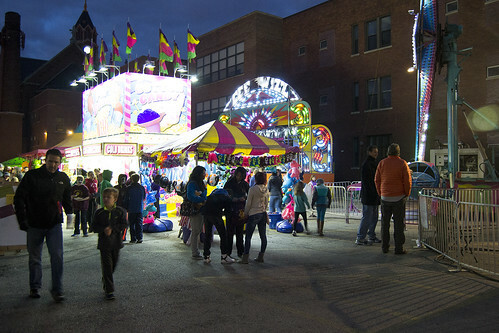 October 6th to 9th - many activities for the whole family, amusement rides, fireworks, demolition derby, and more. October 7th and 8th - Entertainment and activities, including exploring of the back roads and trails of the area under the colors of fall foliage. Many autumn season foods will also be available. Arts and Crafts vendors and live music. Self-guided tours, wagon rides, and more. October 8th and 9th - Enjoy crafts, foods, and live music with sights of autumn foliage at the height of its color. Also, contests and children's activities. October 15th starting at 12 pm - arts and crafts for sale. Taste-testing of wine, live music, competitions and more. October 15th and 16th and 22nd and 23rd, 12 pm to 5 pm - Many arts and crafts booths. 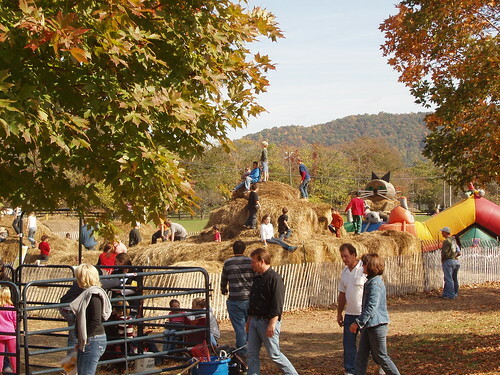 Many children's activities, including a hay maze, bounce house, petting zoo and more. For adults, beer and wines produced in Virginia. October 17th, 9 am to 5 pm - Crafts, jewelry, food vendors. Events on local history and children's activities. Plastic duck race on the Little River, with prizes available. November 5th, 11 am to 5 pm, featuring Virginia beers and hard ciders, barbecued foods, bluegrass music, and arts and crafts vendors.